On March 8th, Ivan Lara tragically lost his life while doing what he loved. He was a loving father, caring husband, a good brother and a great friend. He will be missed greatly not only by his family and friends but he leaves behind 3 beautiful daughters Melanie Lara, Emily Lara and Stephanie Lara and his wife Veronica Garcia. His positive and joyous attitude was so contagious and helped him make a ton of friends, friends whom considered him if not their best friend a brother. He was always there for his family and friends when help was needed regardless of the situation. Ivan never asked for anything in exchange and never thought about it twice before lending a hand. 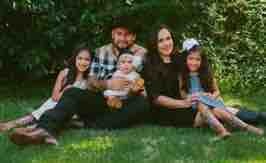 This account has been created on behalf of Ivan’s family to help cover some of the funeral expenses and any additional needs his wife and children may have. Thank you so much for y’alls donations!